The economical crisis is showing everywhere similar symptoms: housing bubble, social polarization, youth unemployment. But there is a civic, community engagement recognizable which is becoming increasingly important today. The main subject of We-Traders is not to reinvent initiatives, it is to show what’s happening right now. It’s not just only “bottom-up”, but mixed forms of public funding, crowd-funding and No-Funding. There is a will not only to leave the market to investors. Therefore another, a new market is to being created. A group of neighbours transforms wasteland into public space. Garden plot owners open their grounds to unemployed youths to test their small-scale business ideas. Communities are becoming patrons where they were once supplicants. Citizens across Europe are currently taking the initiative to re-appropriate urban space. We call them “We-Traders” in the sense that they redefine the relation between value, profit and public good and are able to motivate fellow citizens to follow suit. For having a deeper look on the project We Traders which has been founded by the Goethe Institute. 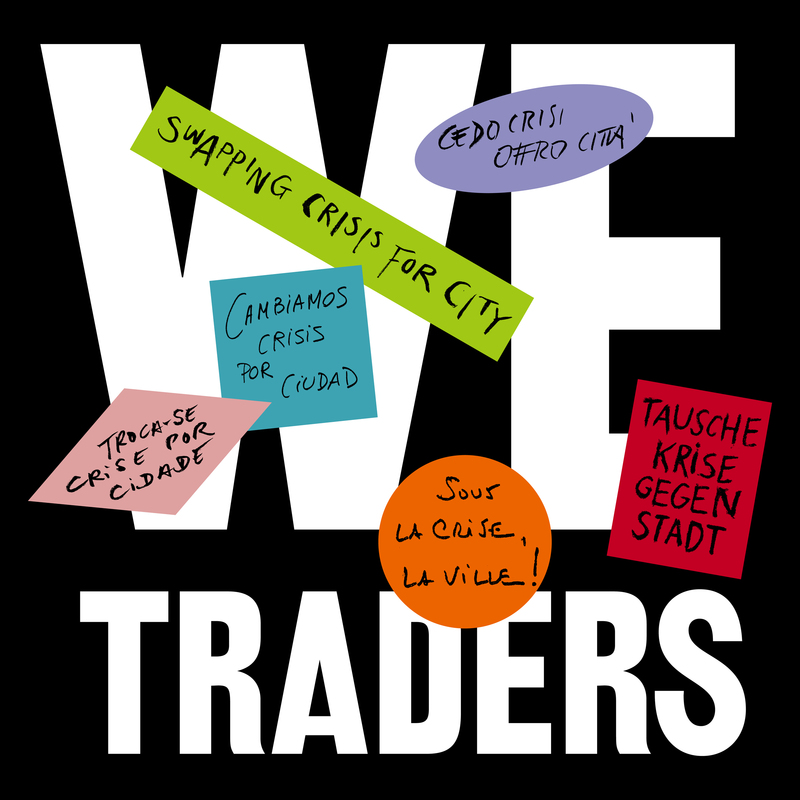 We Traders is being exhibited in the cities of Lisbon, Madrid, Turin, Toulouse and Berlin. Check the dates and explore your chances of participating in a workshop or other events during that exhibition period. Further information: We-Traders Project Website additional to that the Weltstadt Blog http://blog.goethe.de/weltstadt/ is also an interesting source for having an insight of the project.